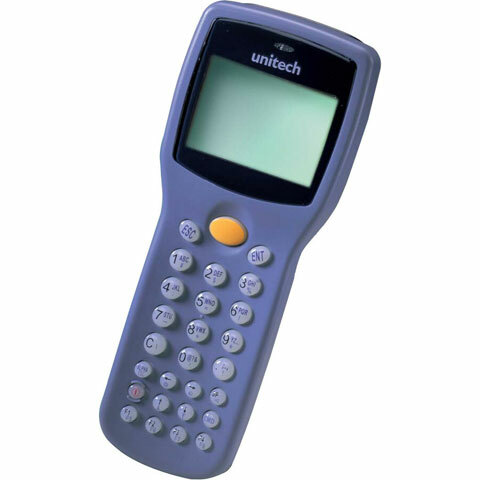 The Unitech HT630 Mobile Computer is designed to meet your demands in various applications, ranging from Transportation and Warehousing to Mobile Sales, Field Service, Retail, Meter Reading and more. Rugged and durable, yet weighing less than 250 grams, the HT630 is easy to handle. The HT630 is well-protected by a robust housing allowing multiple 4 ft. (1.2 meter) bounces off a concrete floor. Batch, 1D Laser Scanner, DOS, 45MB RAM, 27 key AlphaNumeric Keypad Includes Battery, USB Cable, And Power Adapter. Interface Cables And Charging Cradle Sold Separately. Batch, 1D Laser Scanner, DOS, 25MB RAM, 27 key AlphaNumeric Keypad Includes Battery, Serial/RS-232 Cable, And Power Adapter. Interface Cables And Charging Cradle Sold Separately. Batch, 1D Laser Scanner, DOS, 45MB RAM, 27 key AlphaNumeric Keypad Includes Battery, Serial/RS-232 Cable, And Power Adapter. Interface Cables And Charging Cradle Sold Separately. Batch data collection scanner, 512KB RAM, 1D Long Range Laser Scanner, 27 keys and rechargeable battery. Includes USB Cable, power supply and JobGen Plus Software. We use this product everyday in our manufacturing and shipping warehouses. They are continually dropped, but they keep working. Battery life is sufficient. Set-up was simple. JobGen is old school software, but once you get the hang of it, it does the job. Some basic programming knowledge is helpful - and advanced knowledge can create very complex jobs fairly easily. Scanners work well, unit is smaller than we expected and light. Scans multiple code types as per job definition. Will scan very small codes. This is our first scanners and we use for inventory counting. You will need some basic excel skills to use the data, or a programmer to integrate the scanning in with other software, but the files come out cleanly so long as you programmed it right. There isn't much to do with them other than 'run program' so they are fairly straightforward for training purposes. Cable, USB Charging / Communication, Straight, Type A, 79", Black, Compatible with Unitech HT630 (Power Adapter Sold Separately). Cradle, Desktop, 1-Slot, USB and RS-232, Requires Interface Cable and Power Adapter (Sold Separately), Compatible with Unitech HT630. Power supply, 100-240V, 9V DC, Compatible with Unitech HT630/MS860.